Hyundai has announced a revamped technology that will let its customers start, stop, lock and unlock their cars from a distance by using only their smart watch. Dubbed Blue Link, the next-generation remote starter technology will be demonstrated at this year’s Consumer Electronics Show in Las Vegas from Jan. 6 to 9 and at Pepcom’s Digital Experience also in Las Vegas on Jan. 6. 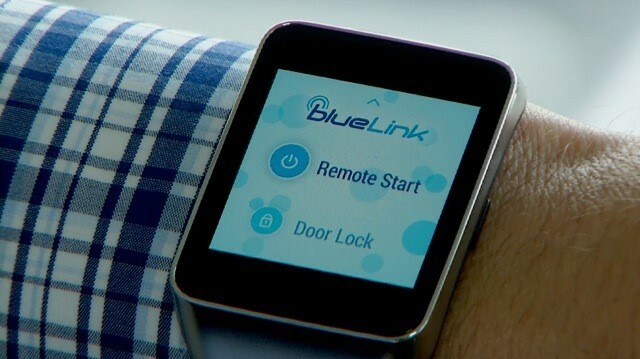 The “Blue Link” Android Wear app will let users locate, unlock and start their cars from their wrists, Hyundai revealed in an announcement today. The app should theoretically work with any of the company’s Blue Link-connected cars. But with Android Auto picking up steam, Hyundai will likely soon not be alone in offering functionality like this. Hyundai says the app will be made available in the first quarter of this year, and will land for free on the Play Store. Hyundai cars with Blue Link? A bit more costly, but still well worth the cool factor. Marla is a native San Franciscan who loves to eat and travel. In 1996, she took her first trip to Beijing to train in Chinese martial arts (Wushu/Taiji), and there began her love for China. She went back to Beijing many times after that to train, and continued to learn about the culture and language. After she finished college, she decided to study abroad at Beijing University to enroll in their one year Chinese program. Once the program was over, Marla decided to stay and work in China, and lived in Beijing for three years.When Marla is not traveling, she enjoys writing poetry, and practicing bikram yoga.